﻿ Should I ever poison a raccoon? USA Wildlife Removal Education Guide - Should I ever poison a raccoon? Most of people choose poisoning when they are faced with a raccoon infestation and want to get rid of the raccoons as soon as possible. Poisoning seems as quick and completely effective solution to fight of raccoons. However, although this might seem as a logical and best solution, there are many considerations to take into mind. For one, you should be aware if the fact that when you choose to apply poison, all other animals and humans in your household are in danger from accidentally getting to the poison. If your child, a pet or a farm animal finds bait with the poison it is very possible it will eat it and harmful consequences can happen in no time. There is also a matter of the fact that poisoned raccoon will not die at the spot. It will eat the poisoned bait and then crawl somewhere and die. Once a raccoon dies, it will start to decompose and cause a terrible smell, which will take you ages to get it out of your home-because a raccoon can crawl anywhere from the attic to basement, from the gutter to somewhere in the walls. Taking care of poisoned dead animal is another troublesome matter. A raccoon can be sick even before you poison it, and these bacteria or viruses can get transferred to you when you have to dispose dead raccoon afterwards, after you find it. In this situation, it is very important to apply all necessary measures to protect yourself from contracting a disease or an infection. Wild animals are not the ones that can be kept as pets in homes. These are also not allowed to be entered in homes, attic, or any place where the human are to move about. This is just because of the threats and dangers which is caused by the wild animal’s presence. However, it is most important to have in mind that in many states poisoning is already strictly forbidden so you should always first get familiar with local laws when it comes to poisoning a raccoon, because you surely don't want to commit a crime when you only want to take care of a raccoon infestation. With this said, it is good to know that there are other, much humane and also highly effective methods to get rid of raccoons. 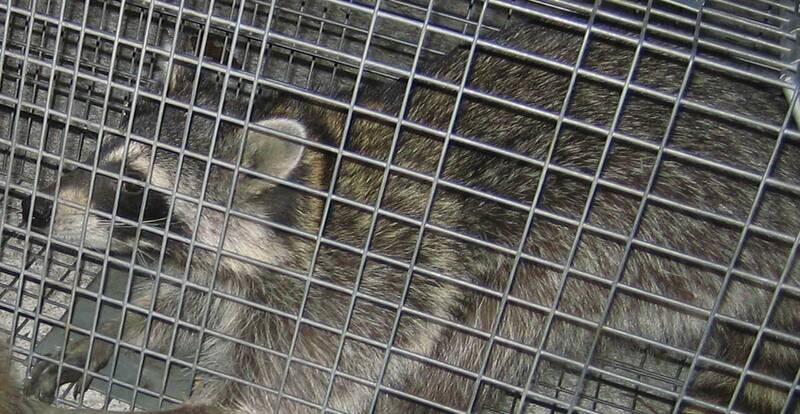 There are methods of repelling them as well as relocating them, so poisoning shouldn't be an option to take care of a raccoon infestation. Go back to the main Raccoon Removal page for more information about Should I ever poison a raccoon?.